According to a recent report from the United Nations, the global population will be more than 8 billion by 2024. This population-growth trend is the most obvious reason that the fertilizer industry will remain one of the globe’s most significant as the increase in the number of the world’s inhabitants will continue to require reliable sources of food. The amount of fertilizer that is produced for global consumption increases, the number of risks that are inherent in its production will also multiply. Whether the fertilizer being produced is of the “straight” variety, which generally consist of single ingredients like ammonium nitrate, ammonium sulfate or potassium chloride (potash); the “combined” type, such as monoammonium phosphate and di-ammonium phosphate; or a “compound” configuration, with NPK fertilizers — a mixture of various levels of nitrogen, phosphorus and potassium compounds — being the most typical in this category, the manufacturer must create a production system that can successfully handle potentially dangerous or hazardous raw materials and finished compounds. Each of these types of fertilizers has a different manufacturing process, but what they all have in common is that they require the handling of raw materials that can damage the various components in the production system. For pumps, the main danger is that the materials handled can be highly abrasive and/or corrosive. An overriding challenge for the fertilizer manufacturer is choosing the right pump for the various operations in the production chain. If the incorrect pump style is chosen, the results can be tragic since pump explosions can result. The leading causes of pump explosions in fertilizer manufacture can include insufficient flow through the pump and improper system design and maintenance. Therefore, every precaution must be considered and taken before selecting the pumps that are used in the manufacture of fertilizers. Especially when used for the injection of ammonia water in the ammoniation process a plunger pump is an interesting option. It is designed as one in which the length of the plunger is longer than its stroke. Plunger pumps are defined as reciprocating positive displacement (PD) pumps that possess one or multiple inline plungers, are configured horizontally and powered by an electric motor or an engine. They can be single-acting – where suction occurs as the plunger ascends and discharge takes place as the plunger is depressed – or double-acting, in which the suction and discharge stages take place simultaneously on opposite sides of the plunger. Plunger pumps are capable of creating high suction pressure, in some cases up to 3,000 bar (43,000 psi), but the flow rates they can produce are directly proportional to the pump speed, not the pressure. Conversely, the discharge pressure is not speed-dependent, but instead relies solely on the design of the discharge piping. 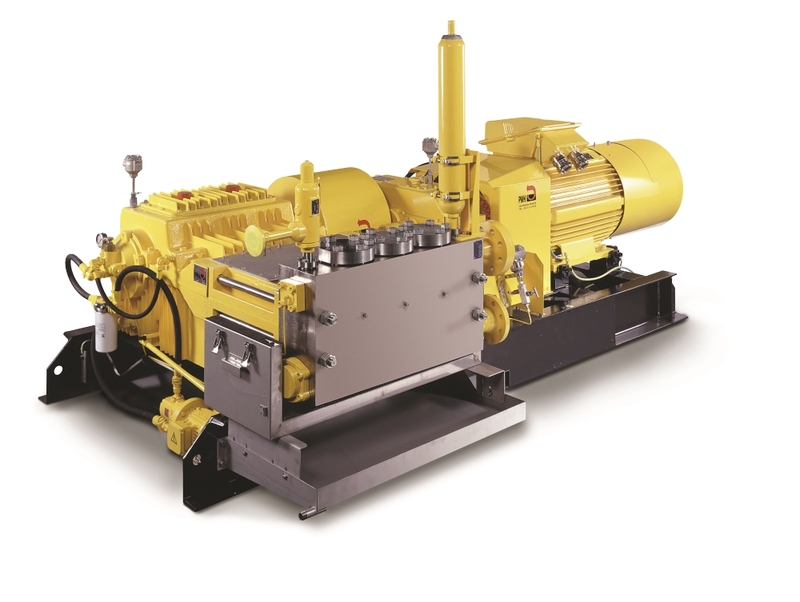 These operational capabilities allow plunger pumps to realize pumping efficiencies of up to 90 %. Also, component wear is minimized because the pump’s packing is situated in the sleeve that surrounds the plunger, not on the plunger itself, resulting in uniform and long-life packing wear. Other wear parts include gaskets, rings, bushings, check valves and springs, but if proper preventive maintenance procedures are observed, it is not uncommon for plunger pumps to operate for 20 years in the field without requiring any maintenance, other than the periodic replacement of the wear parts. 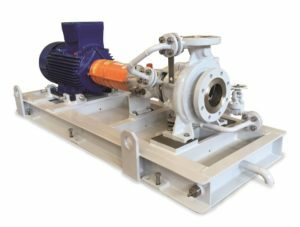 Plunger pumps also have a small footprint, which makes them ideal for installations where available operating space is at a premium. Their design and method of operation makes them perfect for handling almost any type of fluid, even those that are corrosive or hazardous, which puts them in the sweet spot for use in fertilizer-manufacturing processes. Finder’s TN 260 Series Plunger Pumps have been designed to satisfy all of the operational tenets of the API 674 standard, which makes them ideal for use in the manufacture of fertilizer. Knowing how important proper pump selection and use in fertilizer manufacturing is, Finder Pompe offers its API 674 Series Plunger Pumps for use in the market. In addition to meeting the tenets of the API 674 standard, these plunger pumps can be operated in explosive atmospheres (ATEX Ex II 2 G IIC T4 certification). 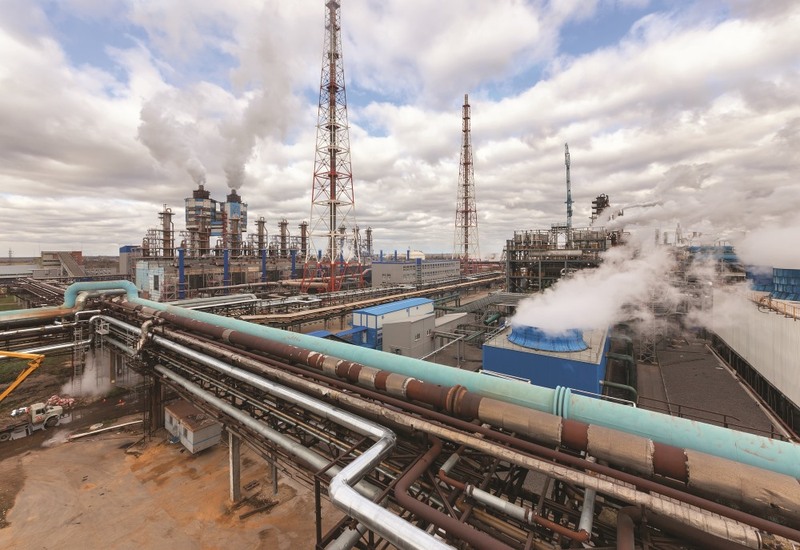 This means that they are able to be used in Zone 1 and 2 operating atmospheres, which are defined as being “likely explosive,” and, as previously indicated, is a crucial consideration in fertilizer plants. Finder’s plunger pumps can also be used with liquids at temperatures up to 200 ºC (392 ºF), with viscosities up to 100 cSt and with solid particles up to 100 μm. Finder’s HC Series Centrifugal Pumps operate in accordance with ISO 5199 and 2858 standards. They are also compliant with ATEX Ex II 2G IIC T4 regulations, which allows them to be used in the potentially explosive atmospheres that are common in fertilizer manufacturing. Finder also offers a series of ISO 5199 and ISO 2858 centrifugal pump models for use in fertilizer production. These centrifugal pumps are available in a wide range of materials in both open and semi-open impeller designs. They feature back pullouts; seal glands for single, double and cartridge-type mechanical seals; heating and cooling chambers on the pump casing and/or stuffing box; and flanges that are rated according to ANSI and DIN standards. The pump design guarantees high efficiency with low operating costs and easy maintenance. Maybe most importantly, like their plunger-pump cousins, they are ATEX-certified for use in explosive operating atmospheres.